All season long, the San Antonio Spurs have been the best team in the league. They may better last year’s record by 17 games, which will tie for the biggest increase in overall record in the NBA this season. Their consistency is partially due to the fact that their top three players Manu Ginobili, Tony Parker, and Tim Duncan, have all played together for the last 9 years. Any time you get close to 70 wins in a season, you have to be considered one of the best teams to contend for the NBA title. Dallas, the Lakers, Oklahoma City, and Portland should all be within 4 games of where they ended up last year, and should all make the playoffs with little competition. The New Orleans Hornets should improve by double digits over last season, and should be a newcomer to the playoffs after missing out last season. A big reason for this is that team leader Chris Paul has been healthy all season, and they added Trevor Ariza and Marco Belinelli into the mix. 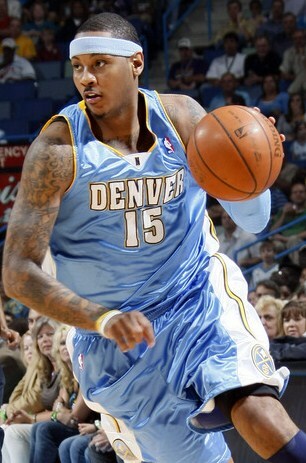 A big hit to the Nuggets playoff hopes is the trade of Carmelo Anthony that was just announced yesterday. That may send the Nuggets into a downspin, and may allow another team, like the Memphis Grizzlies or Phoenix Suns to sneak into the playoffs. Another team that seems to be losing it’s way, along with losing Jerry Sloan, their coach of 23 years, is the Utah Jazz. Since starting the season 15-5, they have gone 16 – 21, and may fall out of playoff contention by the end of the year. The only team that was in the Western Conference playoffs last year that currently doesn’t look like they will make the playoffs this season is the Phoenix Suns. They lost Amar’e Stoudemire before the season even began and are on track to lose 13 more games than they did last season. With a trade about 25 games into the season, they again lost their leading scorer. This time it was Jason Richardson. They have gone through two major transitions to their team makeup, but with Denver and Utah struggling, the Suns may back their way into the 8th spot of the playoffs. Memphis is another team Phoenix will have to climb over to get that final playoff position. 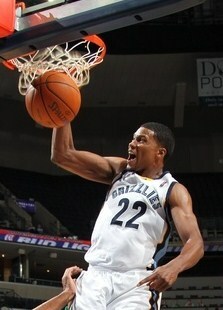 The Grizzlies are 17-8 over their last 25 games and are in contention for a playoff spot. The only problem is their second leading scorer, Rudy Gay, recently had a partially separated shoulder and will be out about four weeks. This may be just long enough to keep them out of the playoffs this season. The team is very young, with four of their starters having less than five years of NBA experience. This may also hurt them down the stretch, and will surely be a detriment if they do make the playoffs. The Eastern Conference has the Boston Celtics leading the way, with the Miami Heat right behind them. Both teams have perrenial all-stars, and the experience to go deep into the playoffs. The Heat have been the favorite to win the NBA Finals ever since LeBron James made his “decision” to take his talents to South Beach. The other team, along with the Spurs, that is looking to improve their record by 17 games this season is the Chicago Bulls. 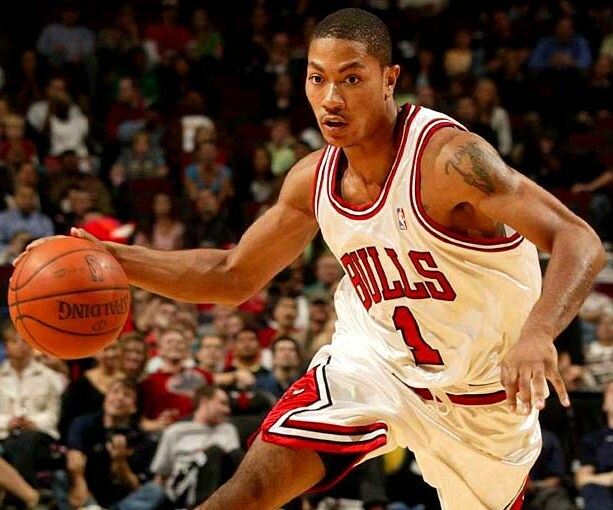 They are led by potential league MVP Derrick Rose, along with the addition of Carlos Boozer, and Joakim Noah, who continues to improve his game. The Orlando Magic and Atlanta Hawks are both on track to lose more games than last year, but should still easily make the playoffs. The New York Knicks and Philadelphia 76ers have made the second and third biggest turnaround in the Eastern Conference, and should also both make the playoffs. Now that the Knicks have added Amar’e Stoudamire, and just yesterday Carmelo Anthony, will they have enough time to generate some real chemistry to make a run in the playoffs? The eighth playoff spot should be a battle between the Indiana Pacers and the Charlotte Bobcats. The Pacers are also a very young team, like the Grizzlies, with six of their eight main players having a combined 9 years of NBA experience, only one more than 8 year veteran teammate Mike Dunleavy. Charlotte, as well as Milwaukee and Cleveland all look like they will miss the playoffs this season after all three were in the playoffs last year. These three teams are ranked in the bottom 5 for the worst win-loss differential over last season. Cleveland is leading the way, predicted to lose 46 more games than last year. They are going from first in the Eastern Conference with a 61 win season, to last in the Eastern Conference and possibly winning 15 games. 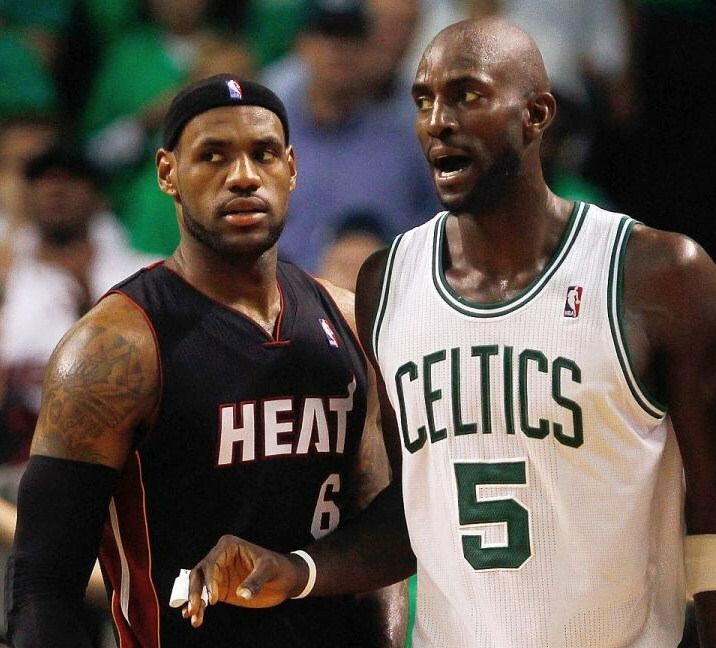 The remainder of the 2010-2011 NBA season should be somewhat predictable in the Eastern Conference. The top seven teams should not have much difficulty making the playoffs, while there could be a battle between two teams for the eighth and final spot. In the Western Conference, the first four playoff spots should be secure, although the order may change. With only two games separating the next five teams, and Phoenix not far behind, there could be as many as six teams fighting for the last four playoff spots. With only about a third of the season remaining, the run for the playoffs should make for an interesting ending to the NBA regular season. Then when the playoffs come around, anything can happen. ~ by Troy Erickson Realtor on February 23, 2011.